The end of summer means many things, such as cooler weather, shorter days and … the start of football is here! But most important, it means kids are headed back to school. And that means we all should be extra careful on the roads, in school zones and around buses. Don’t forget to watch for bikes, too! Here are some tips for both parents and kids to make sure everyone stays safe. Remember to follow school-bus rules. 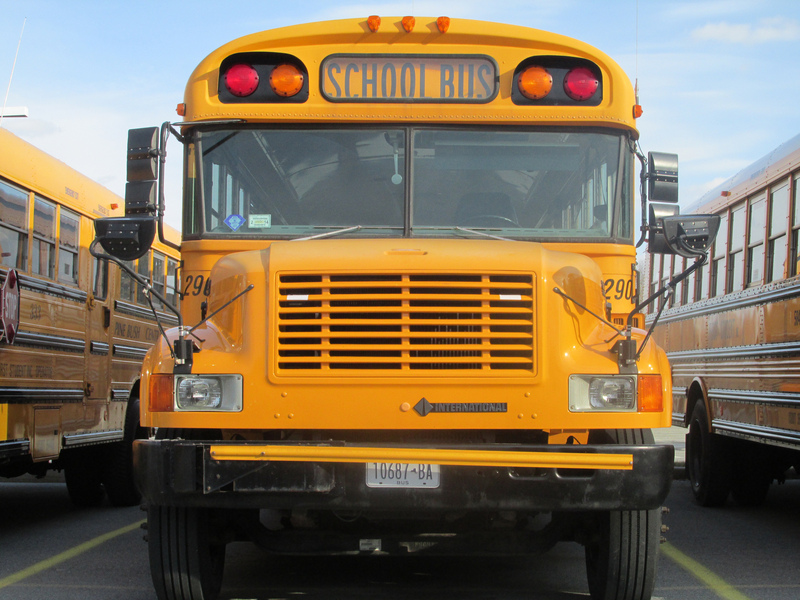 You aren’t allowed to pass the bus — on either side of the road — when the red lights are flashing. And even when the lights stop, make sure the coast is clear before moving on. Kids can move quickly and erratically. Cyclists should ride on the right side of the road — with traffic. Stay as far to the right as possible. Most important, supervise your child every time he or she rides — until you are certain they have good judgment. This is all basic stuff — but it’s always good to be reminded. Take it slow, and let’s have a happy and safe school year! Top image by Flickr user ThoseGuys119 used under Creative Commons Attribution-Sharealike 2.0 license. Image cropped and modified from original.